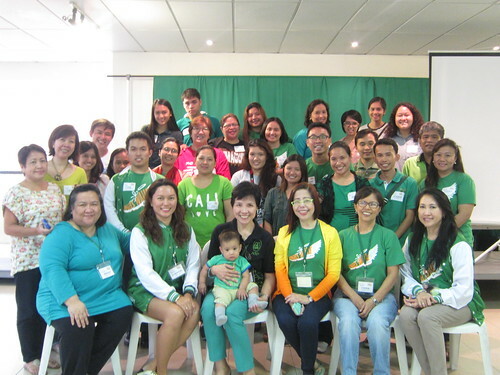 The Autism Society Philippines held its first ASP Angel Corps Volunteer Day last 18 October 2014 at Bridges Foundation, Inc. Scout Limbaga Street, Quezon City. Students, church workers, teachers, therapists and families were present for the fun, educational morning -- the ice breakers, the orientation on autism and on ASP, and the presentation on the plans of the Autism Society Philippines in Q4 2014 and Q1 2015, and the free-flowing sharing. The ASP Angel Corps is the volunteer arm of the Autism Society Philippines. It is composed of civic-minded individuals who are sharing their time and talent towards creating a society where Filipinos with autism become the best of their potentials -- independent, self-reliant, productive and socially-accepted members of the community. The ASP Angel Corps welcomes a great diversity of talents and offers a variety of volunteer opportunities. Our battle cry: Hope, Act, Impact! Sign up for the ASP Angel Corps using the form below to get an invitation for the next volunteer orientation on 10 January 2015.